The Nightwatchman, Tom Morello’s solo act, saw his return to political activism through music after a year of playing with apolitical rock band Audioslave. In the past, he has stood up for great causes, such as a protest against a guitar company that fired and dislocated its Korean workers, in order to avoid paying taxes and repairing a shoddy working environment. 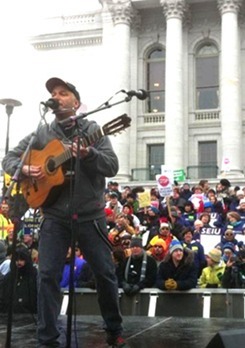 Morello’s most recent defense of workers’ rights brought him to the Wisconsin State Capitol. 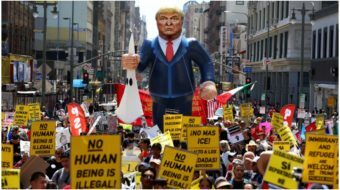 There he protested alongside thousands of workers from all walks of life against Republican Gov. Scott Walker’s attempt to end the right of state employees to collectively bargain. What’s inspiring is that the fight for unions is not only being fought in Wisconsin, but championed through songs that will be heard the world over. 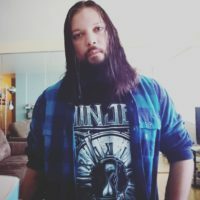 After a brief period punctuated by a lack of progressive-minded lyrics in heavy music, it is refreshing to see a revival of positive ideas via this art form. 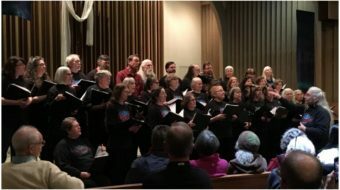 The battle is far from over, but in the coming days, expect to see new songs of hope sung in working class communities, and during protests like the historic one in Wisconsin. Tom Morello will release his Union Town EP on May 17; all proceeds will go to benefit The America Votes Labor Unity Fund.